Finally, a proper documentary about one of the last living legends of title design, Mr. Pablo Ferro. Ferro was part of the generation of title designers who emerged in the 1950s and 1960s (including Maurice Binder, Robert Brownjohn, Saul Bass, and others) who incorporated the visual language of graphic design and popular culture into film. With their individual and innovative approaches, these designers set the standard for contemporary title design. 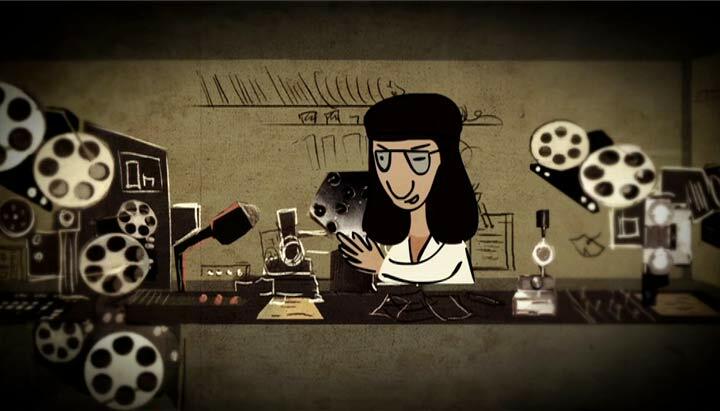 A first teaser of Pablo – The Movie appeared on the web more than five years ago, promising an original blend of live action, motion graphics and animation. Pablo finally premiered earlier this year at the International Film Festival Rotterdam. We took the opportunity to talk to director Richard Goldgewicht about his film (now touring festivals worldwide) and about his subject, Pablo Ferro. Read on to find out why you must see this film. Voiced by Jeff Bridges and featuring interviews with Andy Garcia, Angelica Huston, Jon Voight, Jonathan Demme, Norman Jewison, and Stan Lee among many others, Pablo follows the turbulent life and carreer of the Cuban-born designer Pablo Ferro, whose life and persona are just as compelling as his body of work. 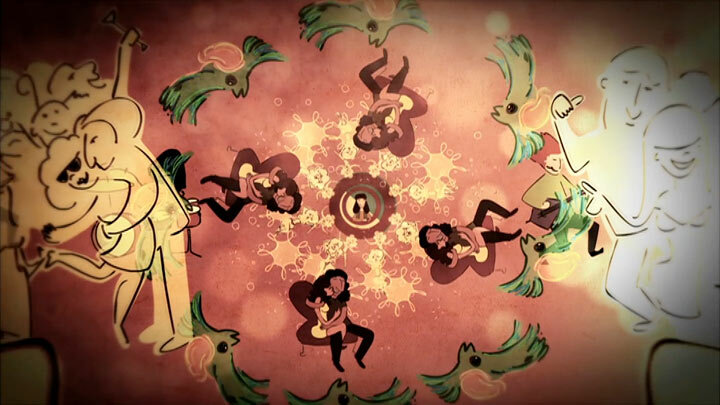 Although some of the live action scenes are not shot under the very best of circumstances, this apparent lack of production value is really not an issue for this documentary, as this is counterbalanced by the accomplished motion graphics and the charming animated scenes that bring to life key scenes from Pablo Ferro's personal life. From his arrival in New York City from Cuba in 1935 as a 12-year-old boy with no shoes on (as the legend goes), to Ferro –with long hair, braids and flared jeans– embracing the bohemian lifestyle of the counterculture scene of New York in the 1960s, up to the present day. Director Richard Goldgewicht went to great lengths to track down and interview over 40 people –friends, family and collegues– who speak openly and frankly about both professional and personal high and lows in Ferro's life. These 'testimonies' include the chilling eyewitness accounts by some of Ferro's close friends who recount how a stranger made an attempt at his life and shot Ferro in the neck at the front door of his New York appartment, which nearly killed him. “That was a bad time. And of course that didn't help Pablo in the industry,” recalls one of his friends. Although Goldgewicht wisely did not overly dramatize this remarkable event in his film and treats it as just one of the many stories that made Ferro into the man he is today, the experience seemed to mark a turning point in Ferro's life. Quite moving are some of the recently filmed scenes, such as the one where Ferro's family is trying to figure out how to afford a sauna which would help relieve him from the pain in his joints. Or the scene with Ferro in his living room surrounded by boxes... “This is Pablo losing his home,” observes narrator Jeff Bridges, whose emphatic voice over the film could not do without. “Pablo Ferro remains an enigma” confirms Goldgewicht. Ferro himself doesn't talk much about his past or his private life. From the scenes and the brief interview snippets with Ferro, who is now in his seventies, emerges the image of a frail man, an absent-minded dreamer who seems most comfortable when he communicates with the world by making (moving) images. But you do feel like you get to know a little through the 40+ interviews with his Ferro's family, close friends and collegues from the movie industry. They all speak about him with sincere love and genuine respect. But considering the dramatic impact the shooting had on Ferro's life and carreer, it makes you wonder if he ever really recovered from it. Pablo is a documentary that every visitor of Watch The Titles should see. And although Goldgewicht couldn't possibly cover all aspects of Ferro's body work in 90 minutes (where is that overdue definitive Pablo Ferro monograph, publishers? 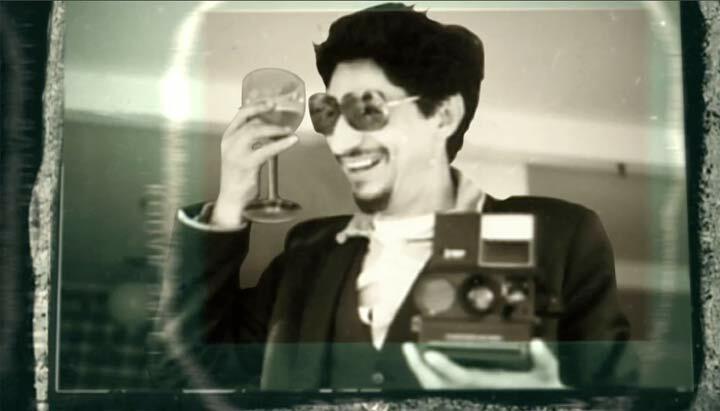 ), it is to date the most accomplished portrayal of Pablo Ferro's life and carreer. 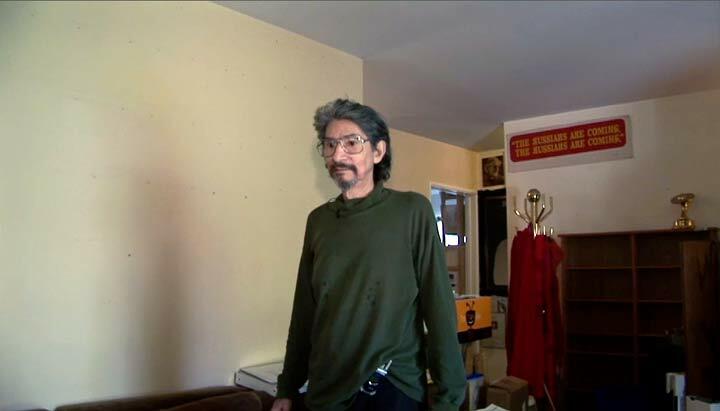 I did not yet mention the wealth of archival footage contained in the documentary. Super-8 and 16mm films of Ferro's earlier and much lesser known works highlight Ferro's creative accomplishments not only as a title designer, but as an animator, a comics artist, a graphic designer, a director and, not in the least, as an editor. We all know Pablo Ferro for his trademark style, the handwritten opening titles, which have been copied and imitated the world over (including by Goldgewicht for his film). But Ferro was also a radical editor, who introduced experimental screen editing techniques, such as the split-screen and multi-screen images, into mainstream movies. 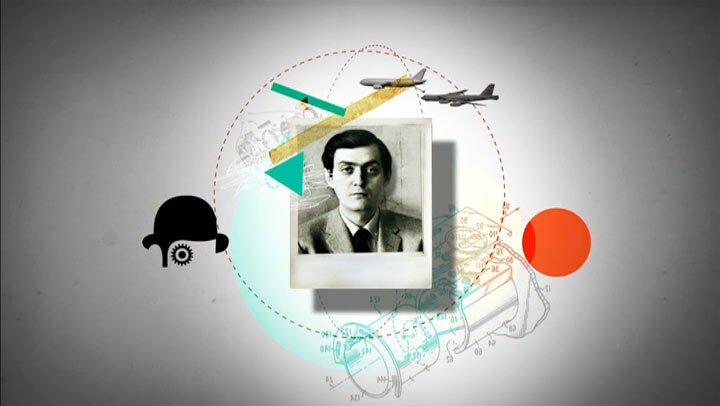 In his animated tv ads, he experimented with fast editing, and combined animated characters with moving typography, using big letters and big words that moved across the screen. These were all new ideas, but they had a major impact on advertising at the time. Ferro's groundbreaking movie trailers for Dr. Strangelove and A Clockwork Orange, among others, pushed the limit of what film a film trailer could be, serving rapid-fire sequences to mainstream cinema audiences. All these archival gems –many from Ferro's personal collection– emphasize the designer's remarkable achievements in cinema, which can not be understated. 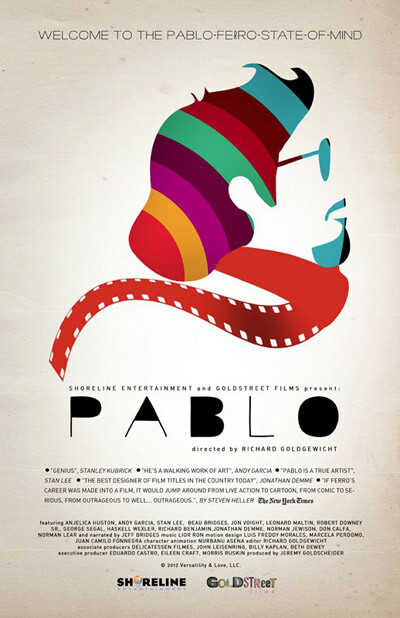 Pablo – The Movie is touring film festivals worldwide in 2012 and 2013. There are plans for a U.S. release of the film in 2013. Visit Pablothemovie.com for more info. We will focus on Pablo Ferro's body of work in a series of upcoming posts on Watch the Titles. Article: Remco Vlaanderen, © Submarine Channel 17 October 2012. Ketelhuis, Amsterdam for allowing us to film the interview inside their lovely cinema and cafe.